Malaysia has proposed to implement several infrastructure projects in Sri Lanka under a government-to-government understanding which, among others, include the Colombo City Monorail by Scomi International, oil pipeline, highways, and housing development. This was discussed by Datuk Seri S. Samy Vellu, The Special Envoy for Infrastructure to India and South Asia during his meeting with Sri Lankan Prime Minister Ranil Wickramasinghe in Colombo on Thursday. “The Prime Minister was very receptive to our proposal and promised to study and revert as soon as possible. “The Prime Minister wants regional cooperation with Malaysia,” Samy Vellu said in a statement. He said many Malaysian companies were very keen to participate in Sri Lanka’s infrastructure development especially after the new government came to power in January. “There is tremendous confidence in the new government and we are confident that our proposals will be received favourably by the new Sri Lankan government,” he said. He said Wickramasinghe wanted to fast track the high priority projects especially those that concerned the Sri Lankan people. This, he said would include housing for the poor and a good network of highways from Colombo to the northern part of the country. 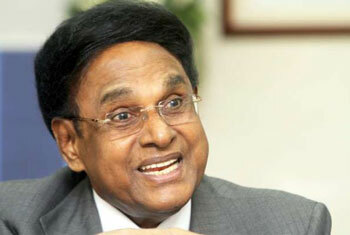 The special envoy also held discussions with as eight Sri Lankan Cabinet Ministers.